Beneath the fading town of Dirtmouth sleeps an ancient, forgotten kingdom. Many are drawn beneath the surface, searching for riches, or glory, or answers to old secrets. As the enigmatic Hollow Knight, you’ll traverse the depths, unravel its mysteries and conquer its evils. Hollow Knight is a new classic, with a dense and detailed world full of secrets to discover. Hallownest’s desolate world is built on an atmosphere of mournful sorrow. Its characters, few and far between with little to say, will become fast friends that you feel genuinely ecstatic coming across. With a massive, interconnected world that you’re free to explore without direction, and secrets hidden around every corner and over forty hours of content, Hollow Knight may not be entirely new but it is downright outstanding. Hollow Knight is not only what I'd say is the best game so far this year, it also very well may be the best metroidvania title out there right now, and it is easily one of my favorite games of all-time. Truly a masterpiece of gaming if there ever was one, and certainly art worthy of being in a museum. Hollow Knight is well-crafted and beautiful to look at, with an elegance that is found in few games. From exploring the world to interacting with characters and fighting the minions found within, it kept me on my toes throughout. It’s far from the most original though, perhaps taking too much inspiration from similar titles, but with a little tiny tweak in the controls, it could be a sleeper hit. 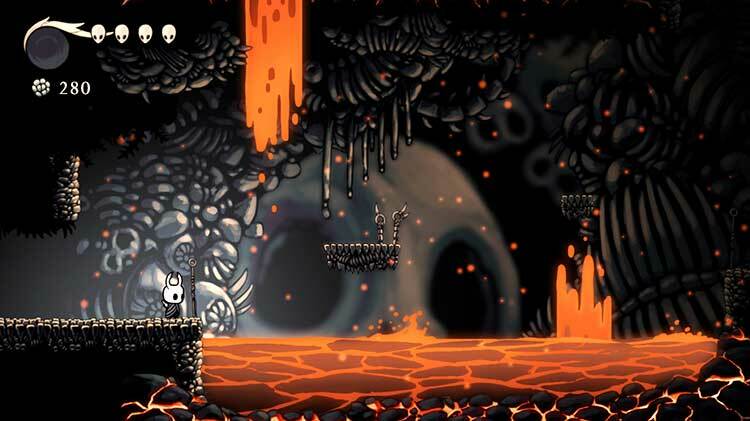 Hollow Knight is a well oiled machine with great attention to detail, solid mechanics and a quality of design that wouldn’t be lacking in a higher-profile title of this genre. The world is fleshed out and intriguing, sparking imagination and inspiring new wonder at the existence of tiny and usually horrible minibeasts. 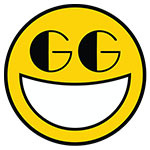 The game efficiently claims elements from better known titles with one hand while warping and adapting them into something new and unique with the other. Hollow Knight is anything but hollow. Cut from the same cloth as Metroid (and a little bit of Dark Souls), its beautifully gloomy, as well as cute, hand-painted underground world, offers one of the best time sinks ever made; and one where skill is definitely in the spotlight. 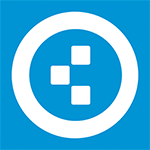 Its plot could be a bit more accessible, and the lack of hand-holding can sometimes be annoying, but these "flaws" can't really crack the surface of this diamond. If it wasn't clear by now, then we should make extra clear: Hollow Knight is a fantastic experience, both in your hands on the Switch or on the TV screen. 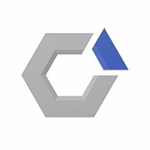 It provides the timeless fun and exploration of a Metroidvania you can spend hours getting lost in, trying each avenue to see what rewards lurk off the beaten path, while at the same time giving it a lick of paint to bring the genre into the modern day. Hollow Knight offers some compelling mitigation for its lack of innovation: the gorgeous presentation and the insanely low asking price. There’s no question that Hollow Knight is hugely enjoyable and great value for money. But if its gameplay had been as imaginative as its visuals it could have been a genuine classic. 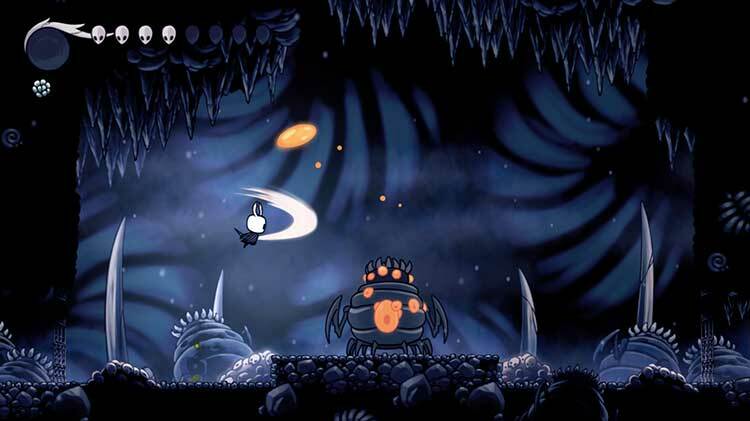 Hollow Knight es un cúmulo de conceptos ya conocidos y no hay problema en admitir que no hay nada demasiado original en él. Pero es tremendamente divertido, todas las ideas que recoge tienen sentido dentro de su mecánica y derrocha estilo con buen gusto. No deberías perdértelo bajo ningún concepto si te gustan Salt and Sanctuary, Guacamelee!, Ori and the Blind Forest y otros metroidvania modernos. Sin duda, una de las primeras sorpresas indies del año. 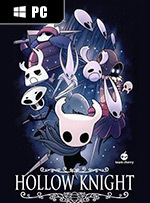 Puede que en algunos momentos su acción se torne frustrante, o que explorar su colosal mundo subterráneo sea en ocasiones una experiencia tortuosa, pero Hollow Knight es un videojuego tan divertido, tan épico y emocionante en su acción, que es difícil resistirse a las muchas virtudes que atesora. Con un apartado artístico de enorme calidad y una importante variedad de enemigos contra los que luchar, este es uno de los mejores videojuegos de estilo metroidvania de los últimos años. Aunque no llega al virtuosismo técnico del primero, debido al estilo demasiado minimalista de algunos diseños, pensamos que asimila las enseñanzas de Dark Souls con más personalidad y cariño que el segundo. Con un gigantesco mundo que explorar que emocionará a los fans del género así como una sorprendente cantidad de contenido, estamos ante una de las grandes sorpresas indie del año hasta el momento y, sobre todo, uno de los mejores metroidvanias...nos atreveríamos a decir que de siempre. Hollow Knight es un juego realmente trabajado y pulido, y cuesta creer que esta obra la hayan creado tan sólo tres personas. Aunque ha sido publicado en un mes con grandes lanzamientos como Zelda o Horizon, merece realmente la pena darle una oportunidad a este videojuego indie que, sin duda alguna cautivará tu corazón y saciará tus ansias de entretenimiento a la perfección. 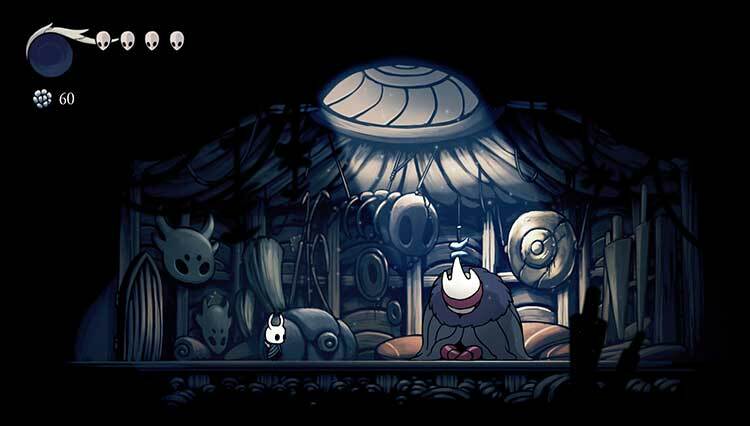 Hollow Knight ist ein kleines Juwel, das ich euch wärmstens empfehlen kann. Zwar erreicht es nicht ganz die Klasse eines Outland, aber es ist ein sehr stimmungsvolles Abenteuer. Man hüpft, kämpft und rätselt auch ein wenig in einer dem Untergang geweihten Käferwelt, die ebenso melancholische wie gnadenlose, aber auch niedliche und skurrile Momente bietet. So manche verschrobenen Charaktere und vor allem das Artdesign wirkt so, als hätte Tim Burton die Biene Maja mit dunklen Farben interpretiert. 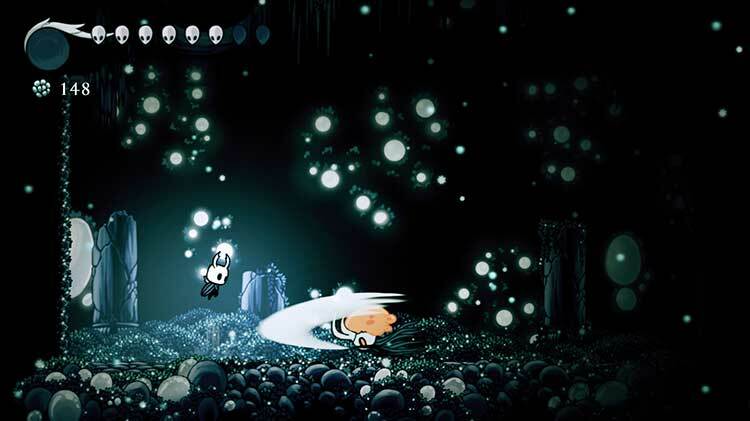 Hollow Knight vermählt nun ausgerechnet diese beiden Genres und ich bin hin und her gerissen: Die meiste Zeit liebe ich dieses Spiel für seine wunderschöne Grafik, die wohlig schaurige Atmosphäre und das durchdachte Level- und Gegnerdesign. 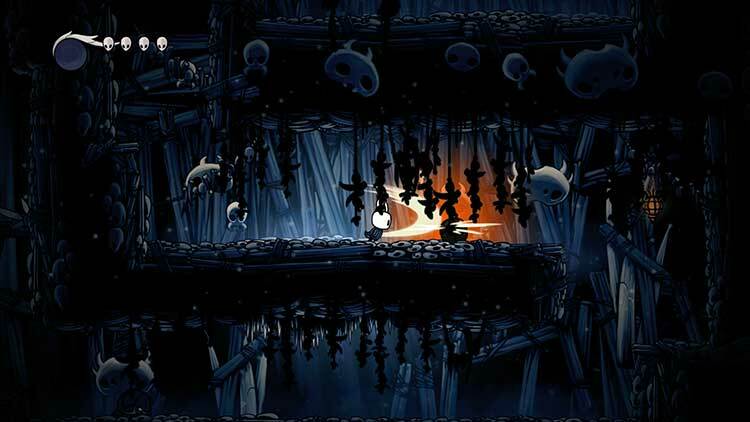 Si Hollow Knight ne réinvente en rien les metroidvania, il s’affiche comme une référence du genre. Demandant concentration, discipline et rigueur, il vous tiendra en haleine pendant facilement une vingtaine d’heures, dans un univers peuplé d’insectes aussi riche qu’intriguant. Vos moments d’errances dans ses environnements visuellement charmants ne feront que mettre en valeur son level design ingénieux. Solide, somptueux et subtil, le premier jeu des australiens de Team Cherry évite avec brio le piège du Kickstarter maudit. Doté d'une direction artistique de haut vol, il faudra pourtant s'accrocher pour profiter des nombreux plaisirs qu'aura à vous offrir ce royaume insectifère aux multiples dédales. Il 2017 sarà anche pieno di produzioni tripla A di altissimo livello, ma questo non significa che i lavori indipendenti non meritino attenzione, specialmente quando raggiungono le vette di Hollow Knight. Magari all'interno del genere metroidvania l'opera di Team Cherry non reinventa nulla, ma resta un gioco splendido, curatissimo, duro come pochi e longevo, che consigliamo senza dubbio alcuno a tutti i fan di questi titoli. Sul serio, non ignoratelo... rischiate di perdervi uno dei migliori giochi dell'anno.